Vintae is a maker and marketer of wines from across Spain, including the masterfully presented Projecto Garnachas (Grenache Project) wines. A four pack of samples from their portfolio - two reds, two whites - landed in the tasting lab here for consideration recently, and which came with some consternation. 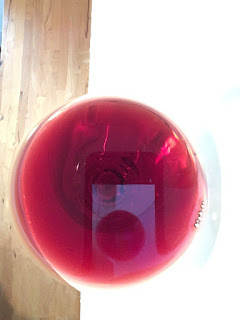 For readers who haven't seen my lamentation of The Spanish Bludgeoning, the overwhelming majority of Spanish reds I've tasted in the last five years have suffered from harsh oak over-treatment. This has left me skeptical of Spanish wines, which, absent this unnecessary interference, can reach extraordinary heights of quality and experience at reasonable prices. Nevertheless, remaining open-minded is the key to discovery, as these wines demonstrate. 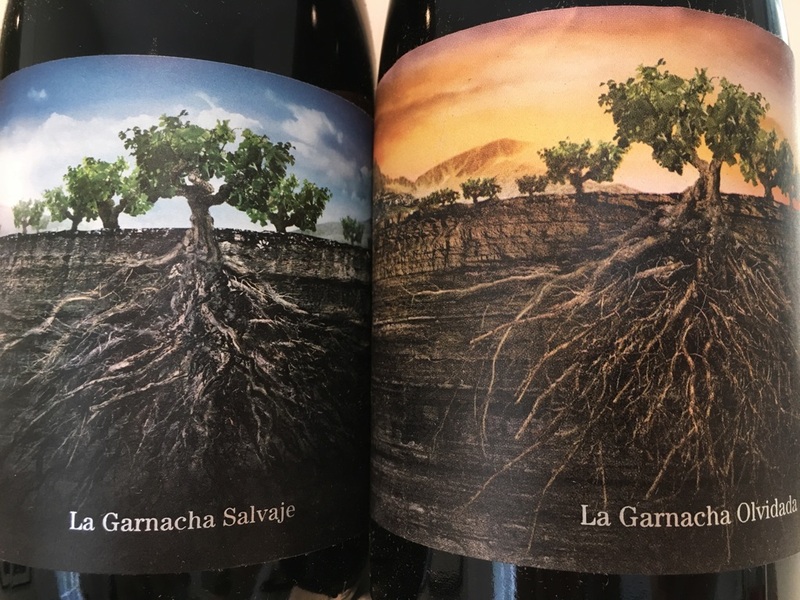 The two garnachas, whose labels are as emotionally evocative as their names, hail from different regions; Moncayo and Aragon. Similarly, the whites - both a merciful 12.5% ABV - are from distant of northern Spain; Rioja (yes, white wine is made there) and Rias Baixas. All are reasonably priced and bring a fresh take to well-established traditions. Keep your eyes open for these wines, especially the whites. bomb. And then there's the name: Salvaje, which is Spanish for savage. To my surprise, this sample is neither intense or ferocious. Just look at the luminescence in the photo. Blessed by an indelible suppleness, this medium weight red exudes honesty. There's nothing encumbering the fruit at all and, though on the simple end of the spectrum, it is all the easier to appreciate for it. And at this price, you'd be silly not to stock up. 2015 Projecto Garnachas de España La Garnacha Olvidada de Aragon $17 Like it's sibling, this is a restrained example. But that's not to say it's without personality. Though the density is medium weight, and the color similarly in step, the texture is decidedly dustier, grittier, even. This lends the wine a mystery that is only echoed by its name. Olvidada is Spanish for forgotten. The lingering finish is strung along by tannic energy that is more subtle than gregarious. Steely and clean, the modest alcohol (12.5%) helps make for a reserved delivery of fruit character. The mid palate is also moderate weight and framed by clearly defined acidity. The profile makes it a perfect counterpart to summertime fare. Bright with aromas of white flowers and morning coastal breeze. Textbook Albariño: fresh, zippy, and full of come-back-for-more acidity. The slight bite on the finish blows off after a few minutes leaving a well rounded briney, mineral-infused linger. Should play well on either the porch or dinner table.